Melt-in-mouth, tasty, and healthy Uppu Seedai (Salt Seedai) for Krishna Jayanthi/ janmashtami. This Baked Indain snack can be prepared within 25 minutes. Seedai is a great evening snack with tea. Uppu seedai can also be prepared for diwali savory varieties. Try this Stepwise recipes and video uppu seedai recipe and enjoy the festive without the worrying about bursting seedai. 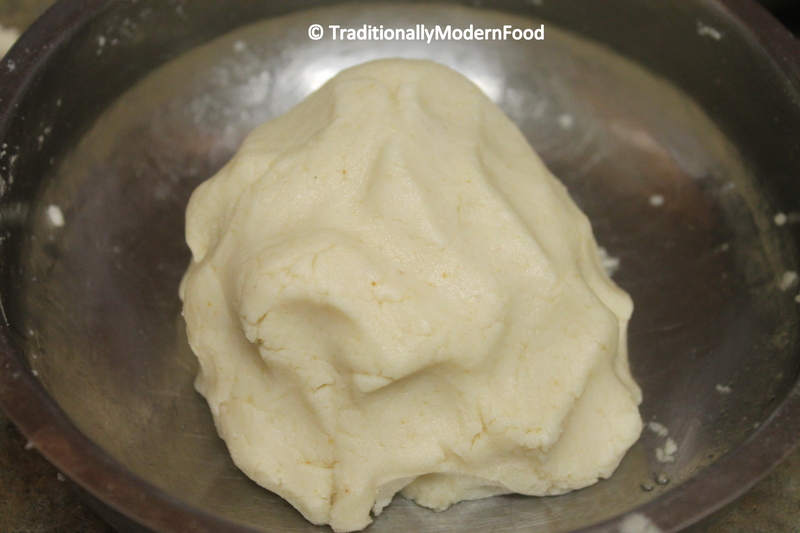 Back in 2014 I posted this Uppu Seedai recipe. Recently I have updated the pitures. The moment I think about Krishna jayanthi Seedai comes to my mind. Having a sweet tooth I was always inclined towards Vella Seedai but hubby likes Uppu Seedai. Now(2017) I have one more seedai fan, my little one. I prepared Salt Seedai 3 weeks back when my parents where here. My father likes seedai and he was asking me this. As always when I gave few seedai to kiddo, and he said big no intially, after tasting one he said, “Amma I like these balls, it is melting”. My father said this is one of my best baked snack 🙂 Happiness is getting such sweet comments from loved ones. Coming back to my First Baked seedai. When we where in Bentonville, my son was around 9 months old. Since that was the first gokulashtami for my “kutti Krishnan” I wanted to make all krishna jayanthi special recipes. As usual I called Amma for the recipe. I have never made seedai before. Last year (2013) I wanted to do, but my mom alarmed me saying Seedai may burst, so I was scared!. Somehow I postoned it for next year. This year again we had the same conversation. I called my mom to ask about seedai proportions, and she again said a big no, and this time even stronger! I was in a big dilemma whether to cook or not. My sis casually asked me why can’t you bake seedai, like baked Pakoda and Bonda, so that mom won’t get scared with you using hot oil for seedai. The moment I heard it I was super excited. I dont know why didn’t this strike me! I wanted to try my luck baking seedai, and was happy with the result. First year I greased with very less oil so I could see color difference but it comes to the taste, it was the same. Believe me, if you give baked seedai and deep fried seedai to someone, no one can find the difference in taste (except for the color). Recently I started adding extra oil so that It becomes brown and looks similar to deep fried seedai. 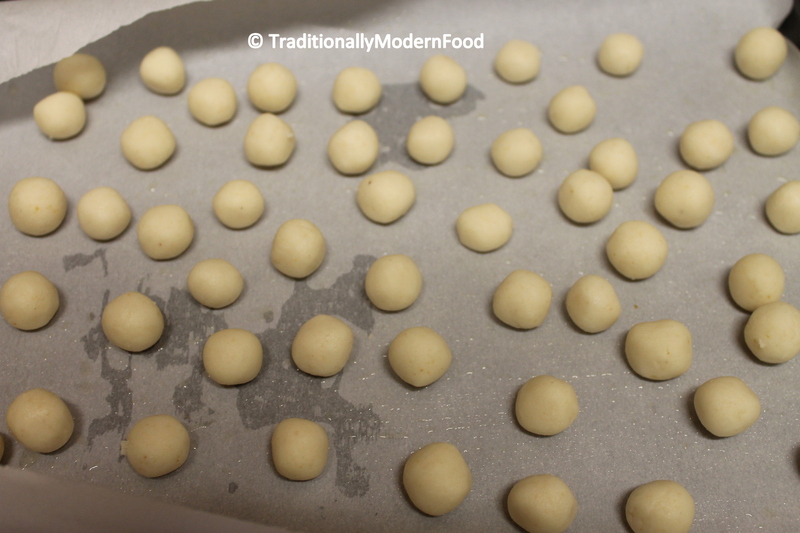 I wouldnt say Baked Uppu Seedai is oil free snacks but this is prepared with less oil compared to regular seedai. Try this for this krishna Jayanthi. 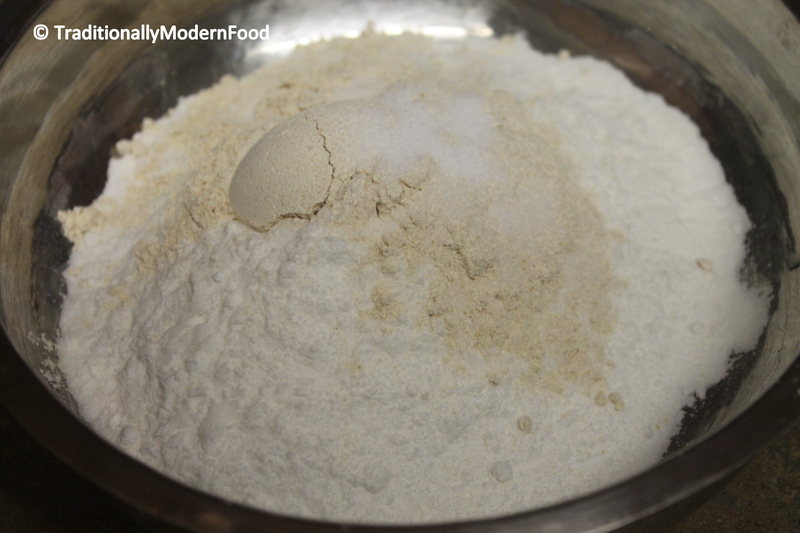 Dry roast the rice flour in low flame for ⅔ minutes. Do not overcook till they change color. 2. If you are frying, the seedai has to be fried in a medium low flame, as it will help for even cooking. Heat oil in a pan, When the oil becomes hot gently put the seedai balls to the oil. Cook till the oil sound subsides. Recipe looks yummy! How Long can we store the seedai? Hi Vidya! Thanks for the recipe. I tried it for this diwali and the taste was really good. However, it was very crumbly and wasn’t very nice to bite into coarse bits. Could it be because I didn’t sieve the store bought rice flour? I managed to sieve the urad dal with a tea strainer. Thanks! Looking for more such healthy dessert recipes.